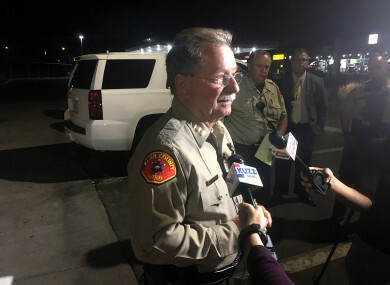 A MAN WENT on a shooting rampage in California yesterday, killing five people including his wife, before taking his own life, a police spokesman told AFP. Police received their first call at 5.19pm before responding to the first location, a trucking company, where the rampage began. Americans make up only 4% of the global population but they own 40% of the world’s firearms, according to a recent study published by the Graduate Institute of International and Development Studies in Geneva. Email “Gunman in California kills five people including his wife, then himself, police say ”. Feedback on “Gunman in California kills five people including his wife, then himself, police say ”.